Diagnosed With Kidney Problems While Taking Nexium, Prevacid, Prilosec or Zegerid? 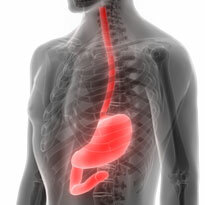 Acid reflux medication such as Prilosec, Nexium, Prevacid and Zegerid have been linked to severe kidney injuries. Those affected may be eligible for compensation from the manufacturer. Did you use Nexium, Prevacid, Prilosec, or Zegerid after 2007? Did you experience any of the following within 12 months of using the drug? 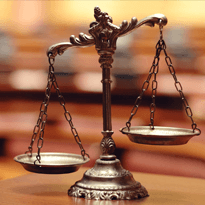 Do you already have a lawyer representing your claim? Studies link these drugs to 20%-50% increased risk for developing chronic kidney disease (CKD) and 96% increased kidney failure risk. Consumers with kidney injuries are suing the manufacturers for failing to properly warn them about life-threatening side effect risks. What Are Nexium, Prevacid, Prilosec and Zegerid? Nexium (esomeprazole), Prevacid (lansoprazole), Prilosec (omeprazole) and Zegerid (omeprazole and sodium bicarbonate) are heartburn drugs known as proton pump inhibitors. Consumers take these reflux medications known as PPIs to treat severe gastroesophageal reflux disease (GERD) symptoms. PPIs, the strongest heartburn drugs currently available, essentially halt gastric acid production in the stomach. PPIs are available in prescription and over-the-counter (OTC) formulations. Consumers began filing PPI-induced injury claims and false advertising lawsuits in 2004. AstraZeneca, which manufactures Nexium and Prilosec, settled one class action lawsuit in 2013 for $20 million. And in 2015, the company settled kickback scheme allegations from the U.S. Justice Department out of court for $7.9 million. Thousands of individual kidney injury claims are still pending against Zegerid’s manufacturer, Bayer, and Pfizer, the company that makes Prevacid. If you suffered kidney damage, renal failure or required dialysis after taking Nexium, Prevacid, Prilosec or Zegerid, you may qualify for a cash settlement. Get your free claim review started to check your eligibility for compensation.